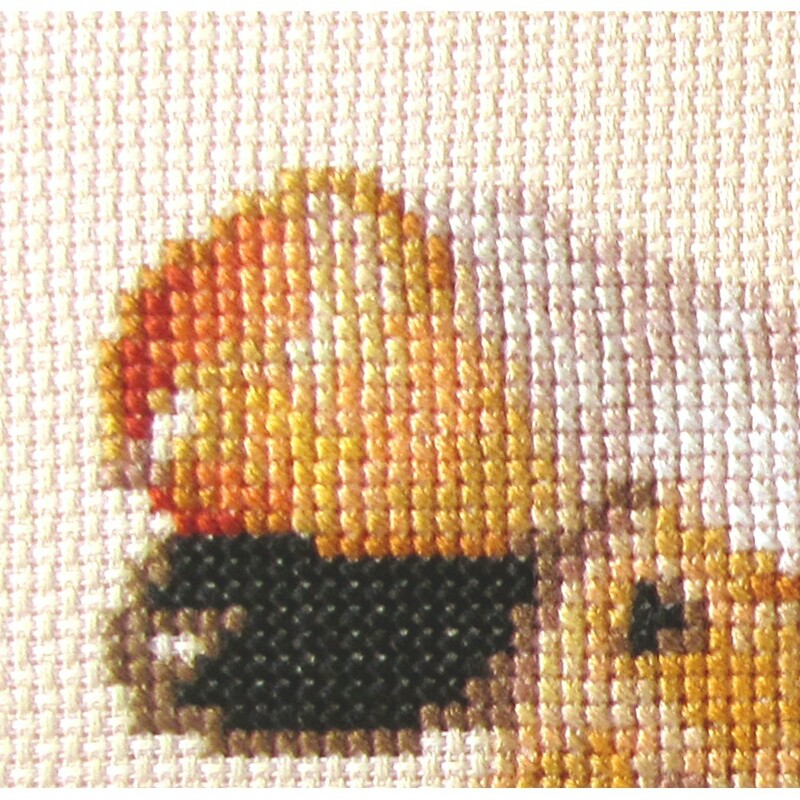 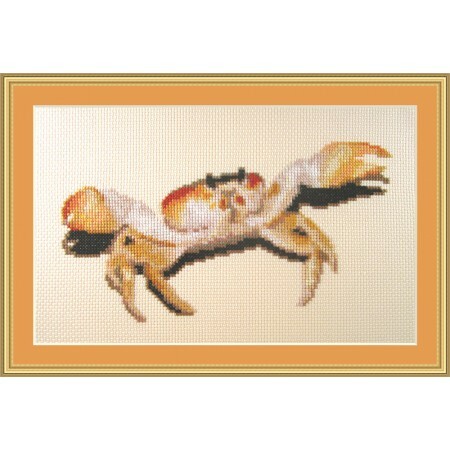 Small cross stitch kit of a beautiful bright coloured crab on sandy yellow aida, get a small piece of the beach in your house now! 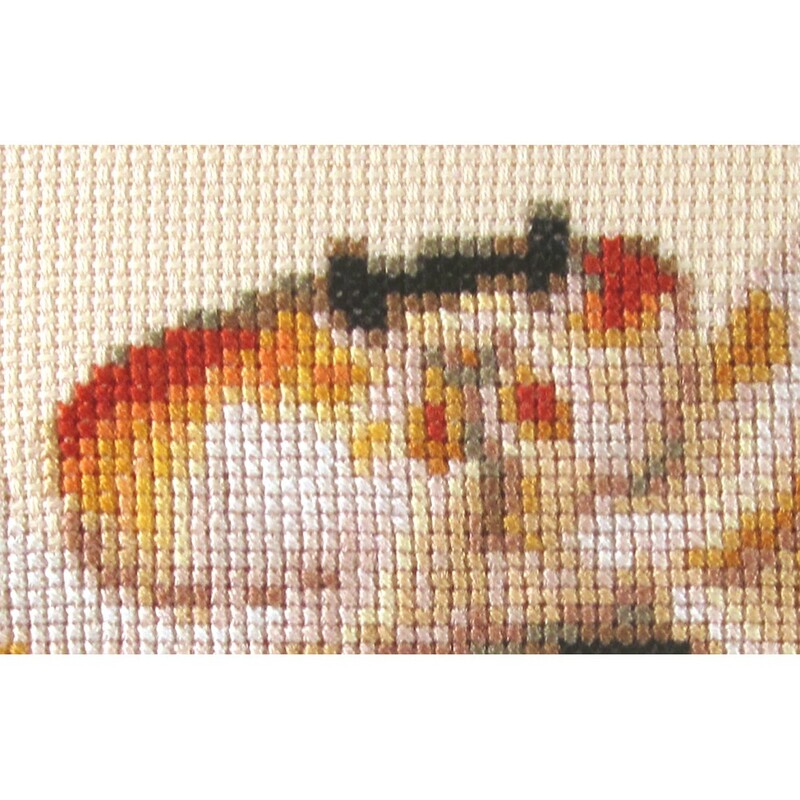 Complete kit with DMC floss/threads and 14 count aida by Zweigart. 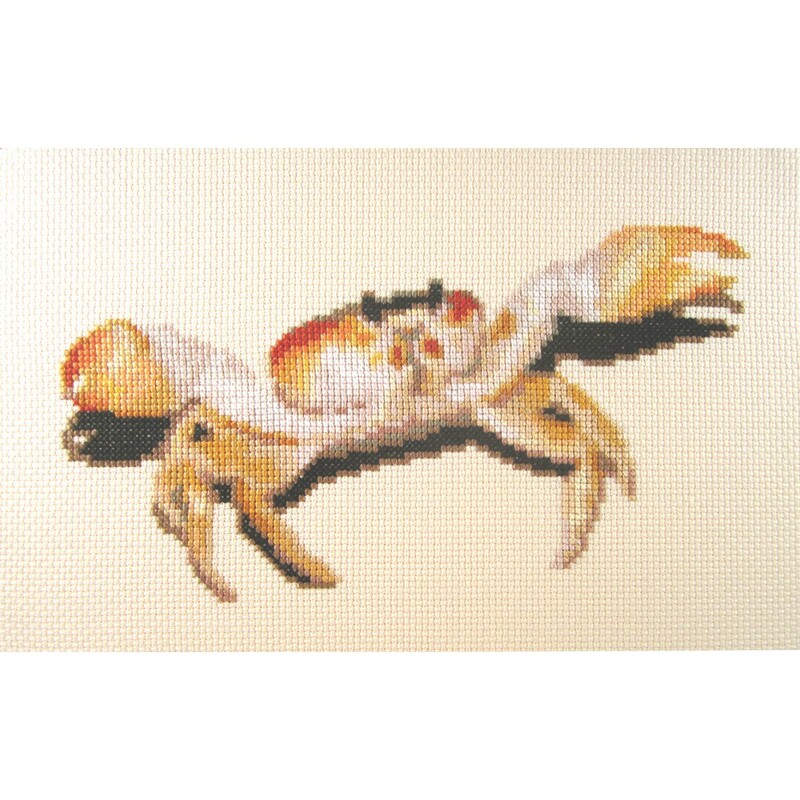 Simple to make and very realistic.